Raj and Simran will be back this Christmas with Rohit Shetty's #Dilwale Are you ready? 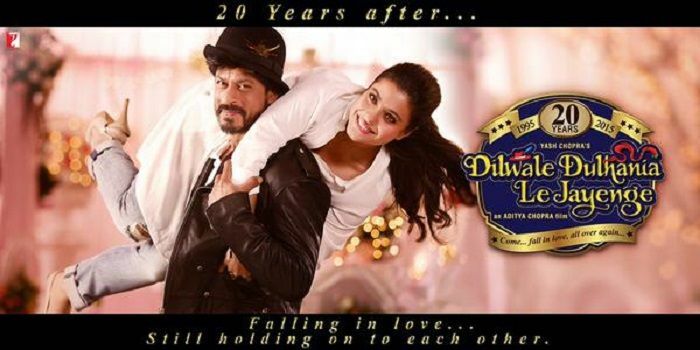 As we celebrate 20 years of Dilwale Dulhania Le Jayenge, which is one of the longest running films in the history of Indian cinema, Shah Rukh Khan and Kajol are wrapping up the shooting for Rohit Shetty's Dilwale at Hyderabad. Director Rohit Shetty had special plans for SRK and Kajol on the sets of Dilwale. He insisted that the couple pose for a DDLJ-inspired photo-shoot. According to reports, the photoshoot evoked nostalgia among the iconic pair as well as those present on the set. This is a great strategy to build the hype around the trailer of Dilwale, which will be attached to the prints of Salman Khan's Prem Ratan Dhan Payo this Diwali. Dilwale is one of the most awaited films of 2015. The makers have kept everything about the film under wraps. The music for the film is composed by Pritam. This is first ever Rohit Shetty film to be shot outside India. Team Dilwale is racing against time to wrap up the shooting for the film, which is slated to release on 18 December. The movie also stars Varun Dhawan and Kirti Sanon in pivotal roles. TWEET THIS A special video on the sets of #Dilwale as a tribute to DDLJ out soon Raj and Simran will be back this Christmas with Rohit Shetty's #Dilwale Are you ready?